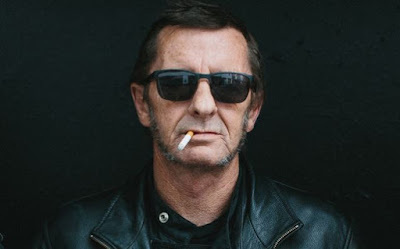 AC/DC drummer Phil Rudd has been sentenced to 8 months of home detention after admitting threatening to kill and drugs charges in New Zealand. 9 News reports Rudd, 61, was sentenced in Tauranga District Court Thursday morning. The drummer will be monitored 24 hours a day during his home detention, which he’ll serve at his waterfront Tauranga mansion. In April, Rudd entered a guilty plea to one count of threatening to kill, possession of methamphetamine and possession of cannabis. After Rudd recorded “Rock Or Bust” with AC/DC in Vancouver last year, the band hired former member Chris Slade to handle drum duties in his place for the group’s world tour, which launched on April 10 at Coachella. Rudd was a member of AC/DC from 1975–83 and again from 1994–onward; while he isn’t touring with the group at the moment, his official status with the band remains unknown.